The Winnipeg Jets have avoided salary arbitration with forward Adam Lowry, signing him to a three-year, US$8.75 million contract. 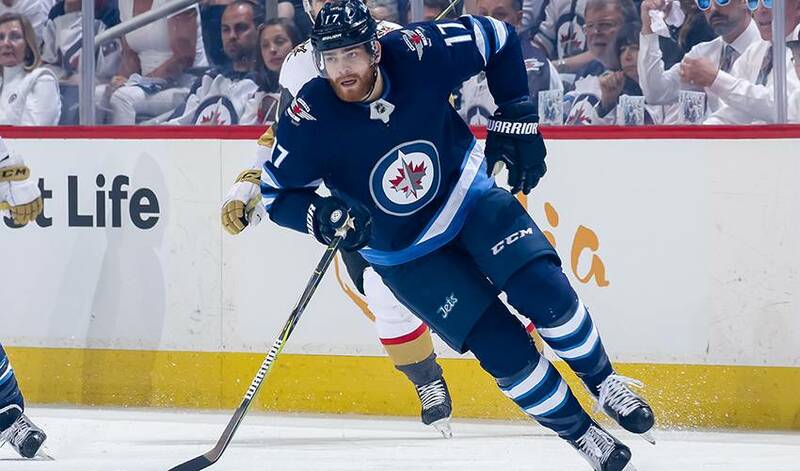 WINNIPEG — The Winnipeg Jets have avoided salary arbitration with forward Adam Lowry, signing him to a three-year, US$8.75 million contract. The 25-year-old played in 45 games for the Jets last season, recording 21 points (eight goals, 13 assists) and eight penalty minutes. The St. Louis native also saw action in all 17 playoff games for Winnipeg, with two assists and eight penalty minutes. Lowry ranked second among Jets forwards with 124 hits in the regular season and led the group with 47 in the post-season. He also led Winnipeg forwards in shorthanded time-on-ice in the regular season (2:02 per game) and the playoffs (1:37 per game). In 281 career NHL regular season games, Lowry has 90 points (41 goals, 49 assists) and 159 penalty minutes. Lowry was drafted by the Jets in the third round (67th overall) in the 2011 NHL draft.